Make your office an out of office. The system secures to the passenger’s side seat bolt utilising a quick release fitting. The mount can be removed easily in seconds or just folded and locked in place on the floor, out of the way and ready for the next time it is needed. 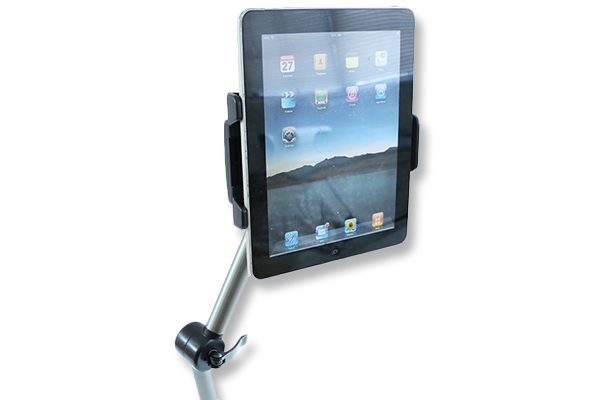 The quick release telescoping lower arm provides easy adjustment for height and position and also allows the deck to swing out of the way when not In use. Also available in tablet and smartphone options so you can utilise your desired option. • Fits laptops, tablets and smartphones. • Easy no-drill installation and removal. • Quick and simple adjusting and control.